You only turn 21 once. 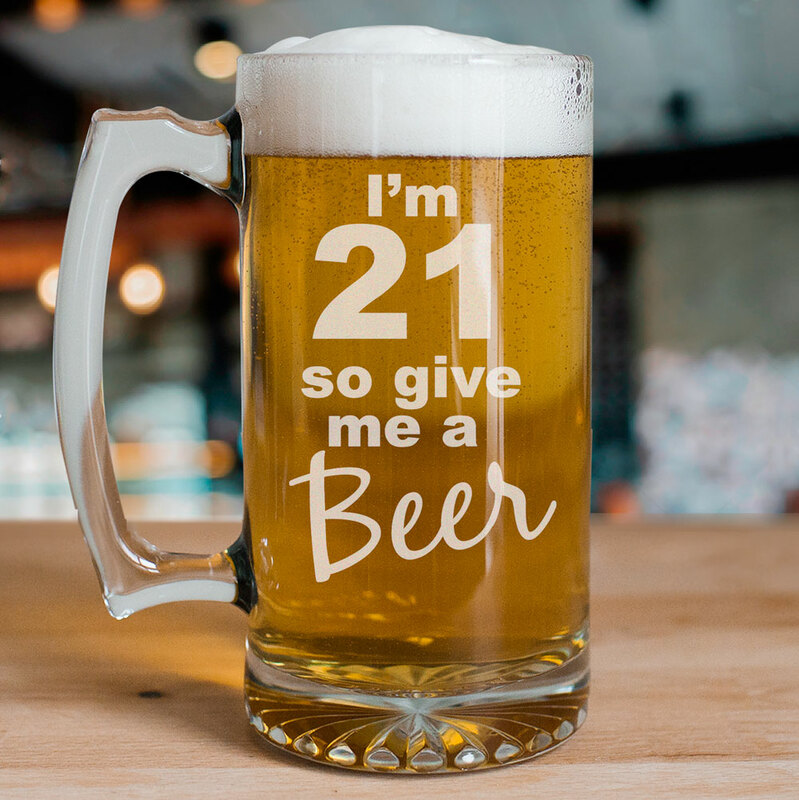 Celebrate this fun birthday with your very own Personalized 21st Birthday Glass Mug. Drink with your birthday mug & be merry with family and friends the whole day. Engrave your glass mug with any age. GiftsForYouNow.com has a large variety of Personalized Birthday Gifts for your Mom, Dad, Grandma, Grandpa, Sister or Brother. Create something special just for them for their birthday. Our Personalized Birthday Shirts are unique gifts any time of the year. GiftsForYouNow.com has a vast selection of Personalized Milestone Birthday Gifts as well.